WESTFIELD, Massachusetts - March 29, 2018 - The new 110 Brush Hunter from Savage is built to beat the toughest hunting conditions and stop the biggest game in its tracks. Shipments of these firearms are currently being delivered to dealers. Length-of-pull is easily customized to fit any shooter for comfort and consistency, and the user- adjustable AccuTrigger provides a light, crisp pull. 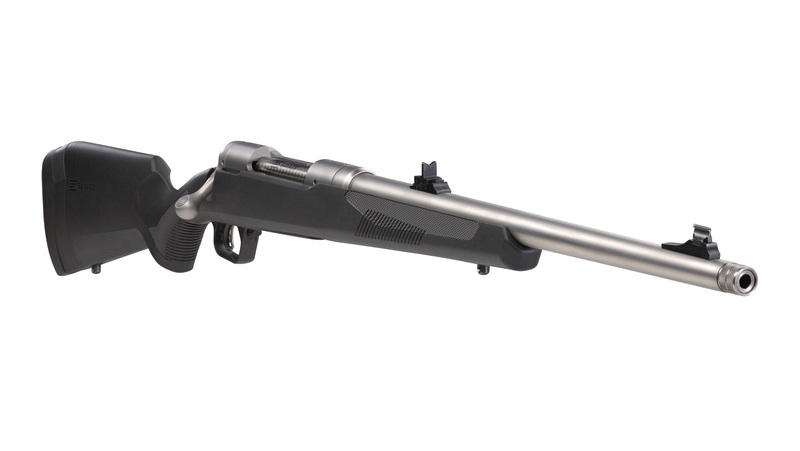 The rifle is built on Savage’s time-tested 110 platform but with a modern design and improved ergonomics. Its 20-inch, stainless steel, medium-contour barrel is threaded with an end cap and cradled securely within a rugged synthetic stock. As a bonus to hunters pursuing big game in close quarters, the 7.38-pound rifle’s oversize bolt handle and dependable iron sights are perfect for making fast shots count.